A licensed nurse in New Jersey recently administered 67 flu shots to employees of a pharmaceutical company using the same syringe for all injections, according to multiple media reports citing a Health Department statement. While the nurse changed the needle for each patient, by continuing to use the same syringe, this violated public health and infection prevention standards, guidelines and expectations. In recent years, there have been several reports of syringe reuse, including a massive exposure to hepatitis C in Nevada between 2004-2008 at a GI center using the same supplies, specifically syringes and medication vials. This resulted in follow up with over 60,000 patients, with the exposure causing one reported death. 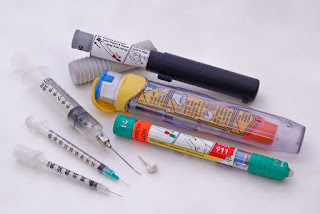 It is well known that "one syringe, one needle, for one person" is the gold standard for injectables as a means to mitigate the risk of transmission of bloodborne pathogens. HIV, hepatitis B and hepatitis C are known pathogens that can result in illness and possibly death. The Centers for Disease Control & Prevention (CDC) and the Safe Injection Practices Coalition (SIPC) leads a campaign known as "The One & Only Campaign" to "to raise awareness among patients and healthcare providers about safe injection practices. The Campaign aims to eliminate infections resulting from unsafe injection practices”. It is imperative that healthcare providers take the time to educate those who are administering parenteral medications as well as observing and monitoring practices within the inpatient and outpatient setting about the infection prevention standards and guidelines. Using the same supplies for several patients should never occur, and professionals who violate safe injection practices should be subject to disciplinary action. Infection Control Consulting Services (ICCS) assists facilities — both inpatient and outpatient — with maintaining safe practices. ICCS services include infection control education programs, onsite visits, policy and procedure review, risk assessment development, and much more. Contact ICCS today to learn what Phenelle Segal, founder, and the ICCS team of infection prevention specialists, can do to help ensure the safety of your patients and staff.